In The News: The Dark Side of Calorie Labeling? How is this for an interesting spin on calorie labeling? 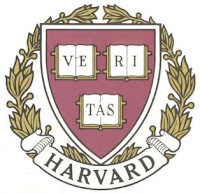 “After students and parents raised concerns about displayed calorie counts leading to or worsening eating disorders, Harvard University Dining Services removed the index cards detailing nutritional information from dining halls this year,” CNN.com reports. Interestingly, Harvard was going above and beyond, listing calorie, serving size, carbohydrate, and fat information for their dining hall menu options. Although these values can still be found on the dining hall’s website, they are no longer displayed at the actual eating establishment. This decision makes absolutely no sense to me. Besides, people living with eating disorders are usually hyper aware of caloric content out of their own valition. If anything, they are more likely to seek out that information online than someone with a passing interest in maybe, perhaps, somehow wanting to manage their weight more efficiently. Someone struggling with anorexia is already following an extremely regimented and restrictive diet. Although “Dining Services will continue to promote healthy eating among students through forums and information sessions,” it is a shame that calorie displays will be eliminated. If displaying actual numbers is out of the question, why not develop a color-coded range? For instance, a yellow sticker next to an item signifies “0 – 200” calories, a blue one signifies “200 – 400,” etc. And if the administration is looking to convey an overall message of wellness rather than strict calorie counting, how about displaying health-promoting banners and signs throughout the dining hall (i.e. : “Whole wheat pasta is a great source of fiber,” “Olive oil is high in heart-healthy monounsaturated fats,” etc.)? I’m not sure if you can answer this, but why is it that people who have anorexia [nervosa] are usually easier to spot than people who have bulimia [nervosa]? I think what you are referring to, Karen, are some of the physical symptoms of these two particular eating disorders. Anorexia nervosa is accompanied by extreme — and sometimes rapid — weight loss. In turn, faces can become gaunt, hair can start thinning, and clavicles and ribs can become more visible. To the naked eye, anorexia nervosa is certainly more visible. One reason why people living with bulimia nervosa can live with it for so long without physical manifestations is because purging — whether through self-induced vomiting or excessive consumption of laxatives — does not eliminate all consumed calories. The latest studies emerging from the University of Pittsburgh — conducted in a laboratory setting, where researchers first calculated the amount of calories in patients’ binges and then analyzed what was regurgitated for caloric values — have determined that approximately half the calories in a binge are retained by the body. Keeping in mind that some binges can consist of 3,000 to 5,000 calories in one sitting, it is very feasible that, even after purging, someone can provide their body with a day’s worth — or more — of calories. This is very much in contrast with an anorexia nervosa picture where caloric intake is often in the low three digits. Many people in the nutrition blogosphere firmly believe calories are meaningless when it comes to weight control. It is their belief that weight is simply affected by diet composition (ie: 3,000 calories of a low-carb diet do not cause weight gain, while 2,000 of a higher-carb diet do). Carbohydrates usually take the fall as causing weight gain and obesity. Please riddle me this, then. How do you explain anorexia nervosa? These people — including the runway model you see pictured here — are severely underweight as a result of cutting total calories. The majority of people living with anorexia have diets that, while extremely low in calories, consist mainly of carbohydrates (typical intake includes a large proportion of vegetables, fruits, and low-calorie foods like ricecakes and fat-free Jello). In fact, the majority of clinical anorexia cases involve people on very low calorie diets that have virtually no fat or protein.